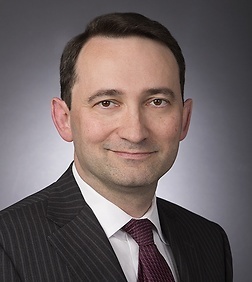 Michael Koltonyuk is a Special Counsel in the Corporate Practice Group in the firm's Washington, D.C. office. He is also a member of the Private Equity and Mergers and Acquisitions Teams at the firm. Mr. Koltonyuk focuses his practice on private equity, mergers and acquisitions and general company representation. Represented CACI International Inc. (NYSE: CACI) in connection with its acquisition of Mastodon Designs, an expert in design and manufacturing of rugged signals intelligence (SIGINT), electronic warfare (EW) and cyber operations products and solutions. Represented TP ICAP plc (IAP.L) in its acquisition of Axiom Refined Products, LLC; Atlas Commodity Markets, LLC; Atlas Petroleum Markets, LLC; and Atlas Physical Grains, LLC (an energy and commodities brokerage firm specializing in crude oil, refined oil products, ethanol and physical grains). Represented International Marine and Industrial Applicators (a marine and offshore protective coatings company that provides services primarily to the U.S. Navy) in connection with its sale to J.F. Lehman & Company, a middle-market private equity firm.